Fat Loss Resolution – Make It Real! There are so many products and diets … how do I know which one is right for me? I agonized over which products will really help me lose weight? Should I use a low-calorie diet, or appetite suppressants? Would it help if I took digestive aids? Should I eat 5 little meals a day, or should I try weight-loss shakes? Do I need to detoxify first, or should I jump into a video exercise program and eats lots of protein and workout? I found this daunting confusion about products to be depressing … and depression can cause me to gain weight! Click on this image to view the actual Chart. So I decided to make a chart of all the ways it is possible to lose fat. Then I made a list of all the weight loss products that I and my customers felt good about. For each product I wrote down the effects of each ingredient. I also integrated feedback from customers who had used these products. And I even had nutritional consultants review the products and add the benefit of their experience with weight loss clients. The result is our easy-to-use Natural Weight Loss Chart. What does our at-a-glance chart give you? #1 Scan across the top and see the list of 17 approaches to weight loss. You can select the ones you feel you need. Then you can just slide your finger down the column and see which products supply the effect you’d like to have in your body. For example, if you want a product that helps you feel full and also want one that speeds up your metabolism you can easily see which products meet both of your criteria. #2 Look down the Weight-loss Product List for your favorite weight loss product and instantly see what methods are already working for you. If you want to supplement your current product you will be able to choose another weight loss product that gives different benefits. You can also see which products have the most benefits! Extra: Just click on the product name on the chart and you’ll go directly to the complete description of that product. Find the best product as a foundation to your 2012 resolution to have the body your want. Take me to the Natural Weight-loss Chart! Kelp, along with 11 other sea vegetables, can change your life. Original Sea Veg ® and Super Sea Veg ® formulated by Scott Kennedy & Dr. Stefan Kraan, PhD, (in marine botany) are the sea vegetable supplements that deliver THE MOST seaweed nutrition on the planet. Original Sea Veg® is a blend of 12 potent sea vegetables, including that powerhouse seaweed, KELP. Sea Veg contains a synergistic blend of red, green and brown sea vegetables sourced from pristine waters around the world. The 12 sea vegetables in this comprehensive blend of seaweed nutrition are carefully harvested from pristine waters off the coast of Ireland, Iceland, France & Asia. Every batch is tested and safe … leaving you with absolutely no worries. While our land suffers from increasing pollution and soil depletion, the ocean is fast becoming the go-to source for both clean and powerful nutrition. In contrast with the land, only 2% of our seacoast is polluted and less than .001% of the ocean itself suffers from pollutants. GET ME SEA VEG ® SHIPPED FREE NOW! 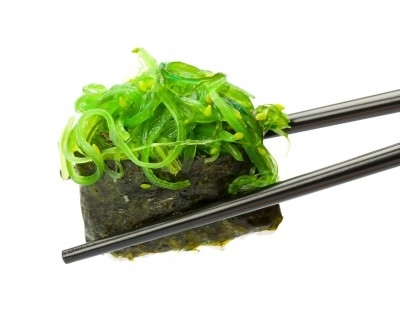 Delectable seaweed dishes may be pricey, unlike Original Sea Veg ! Original Sea Veg ® is one of our most important supplements and the reasons are many. I would call Sea Veg ® a minimally processed, wild crafted super food. The seaweeds are nutrient dense and mineral rich. That makes their bio-nutrients much easier to digest and absorb than either synthetic vitamins or food based nutrients that are isolated from their source, such as ascorbic acid vitamin C or fish oil. And this concept that your body can actually “use what you buy” translates into real cash savings when you compare the cost of Sea Veg ® with single nutrient pills such as Vitamin E or B Complex. 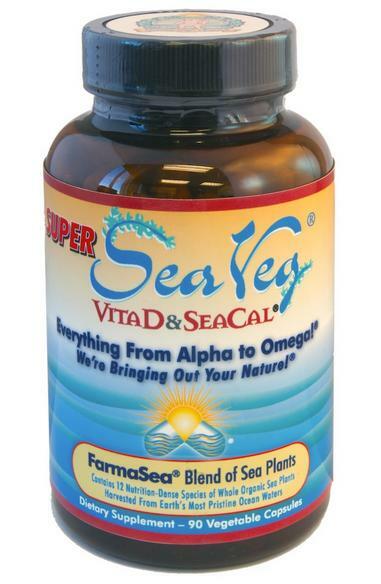 In fact, Sea Veg ® is known as the “Un-vitamin” and can replace many pills! Sea Veg is a great source for much needed organic iodine, also binds toxins and supplies many nutrients. Why talk about kelp seaweed? Only because kelp seaweed has the outstanding ability to remove waste and toxins from our body and simultaneously delivers huge nutritional value. Many health seekers are searching for kelp seaweed but don’t realize that by partnering it with other seaweeds, they actually enhance kelps’ power! 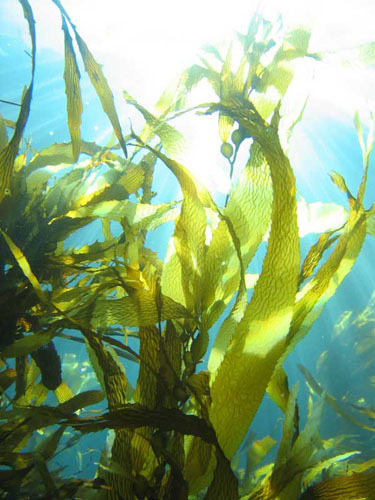 The species KELP can help detoxify cadmium, mercury and lead from our tissues. Kelp contains 23 minerals, chlorophyll, folic acid, vitamins A, B12, D and iodine – and all of these are super absorbable. 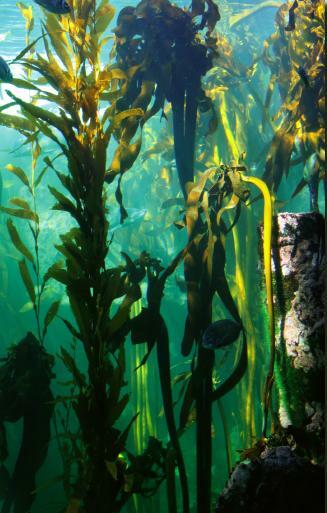 Kelp is rich in algin which stimulates the kidney. Drugs, chemicals, heavy metals and other toxins can all be flushed away, bound to algin. And kelp seaweed is only one of the twelve sea vegetables in Sea Veg and Super Sea Veg ! And some of the other brown sea vegetables rich in alginate, a non-digestible polysaccharide, have the ability to bind with and then expel radioactive isotopes such as the deadly strontium 90, from the thyroid gland. Brown seaweeds, such as bladderwrack and kelp, contain calcium alginates that bind to heavy metals to form salts that are excreted. 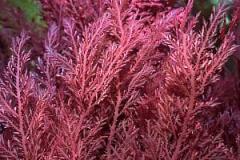 Brown seaweeds also support adult stem cell release. This gift from the sea, fucoidan, promotes your adult stem cell to be released from your bone marrow. Researchers have found that these stem cells perform tissue repair in many remote body tissues after their release. Other research shows that fucoidin impacts not only obesity but also supports “NORMAL” cell growth. Many researchers are currently looking at the effect of fucoidan from marine seaweeds and their beneficial effects on cancer cells. 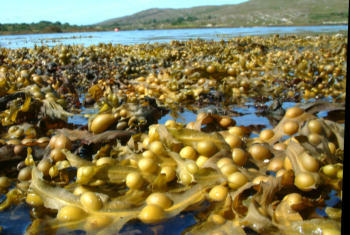 Fucoidin is present in Sea Veg® and in Super Sea Veg®. Scott Kennedy recently revealed a Korean study published in the latest edition of Hearing Research (journal) that points to fucoidan improving hearing ability. Wild fish eat seaweed all day and are then considered very healthy food, as compared with farmed fish. Japanese and Korean people consume over 7 grams of sea plants each day (14 capsules of Sea Veg ®), and their superior health and wellness can be traced back to their diet from the sea. 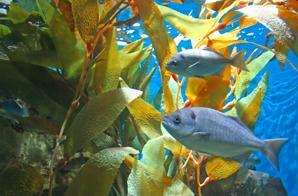 Fish are considered health food, mainly because they consume sea plants all day long. Japanese also have the highest IQ in the first world and this is likely a function of the availability of seaweed nutrients such as DHA fatty acid and natural plant-based iodine that both support brain formation. Scott Kennedy, co-formulator of Original Sea Veg ® and founder of FarmaSea® also reported on the effectiveness of sea vegetables (high in calcium and Vit. D) to impact osteoporosis according to ongoing clinical studies. Both Sea Veg & Super Sea Veg are “must have” products for your whole family. Actually I’m hoping you’ll try Original Sea Veg or Super Sea Veg and you’ll be the one with the tummy full of the astounding seaweed nutrition benefits! The cost is about $1 per day for Original Sea Veg and any quantity ships FREE! If you want the same wonderful blend of 12 sea vegetable enhanced with extra Vitamin D and Sea Cal® (vegetable calcium from red sea vegetables), jump over to Super Sea Veg. And remember, ANY quantity ships FREE! It’s that time of year again…prepare yourself for the flu season NOW. This week a naturopathic doctor told me that she’s helping her patients avoid the “flu season” this year. I asked if she’s sending them to South America on vacations and she explained that leaving the country for Dec., Jan. and Feb. isn’t really necessary. That all they need to do is CONTINUE their “summer lifestyle” … and take Sovereign Silver. The phenomenon known as the “flu season” is looming just beyond the event horizon but the good news is that we have what it takes to remove it from our personal calendars this year. But we have to START NOW. Phentramin-d diet pills are a top seller at IMNatural.com by our customer’s choice. And the reason for their popularity is simple. Phentramin-d diet pills work! Once people get that 30% increase in fat burning capacity there is no going back. 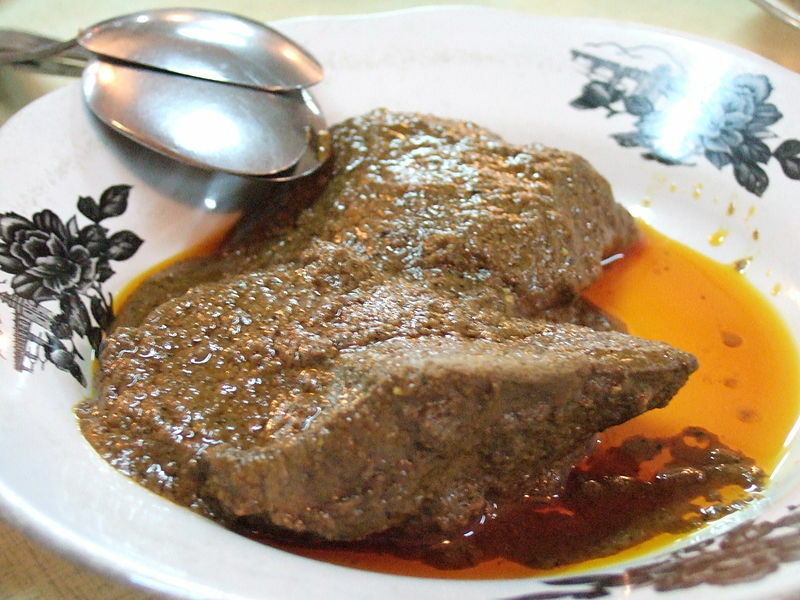 And the way Phentramin-d turns down your appetite is … well read what our dieters say about it! One of the best Phentramin-d diet reviewsthat we received is from a woman customer who compared Phentermin (pharmaceutical drug – prescription required) with Phentramin-d.
“Now I’ve used both products and Phentramin-d is the one I’m telling my friends to buy. The energy boost is smooth … and for me, the appetite suppression that I feel is worth a million. I’ve lost almost 25 pounds and I couldn’t have done it without Phentramin-d.
“Phentermin gave me some jittery side effects and I couldn’t stick with it. But Phentermin-d not only makes me feel good, it has enabled me to lose the weight, and feel like a woman again. ” _Anna R.
I want to start my order NOW for Phentermin-d! A very happy customer wrote to us that Phentramin-d is “the only product that worked” for her. “Phentramin-d increased my metabolic rate so that I feel like my younger self. It turned off that ever-present hunger in my brain that used to rule my activities. I feel free from my constant need to eat, I feel happy, and the pounds are coming off. My weight has dropped about 2 pounds almost every week! I will never let myself run out of this product.” _ Connie M.
This dieter was at the end of her rope, but her story has a happy ending. “For me Phentramin-d was a life-saver! I had just about given up on diets, products, superfoods, and everything. I was going to resign myself to being fat for the rest of my life and probably developing diabetes, like my father. But my friend told me to just try Phentramin-d (and she said to be sure not to get it mixed up with Phentramin without the d). “I found it at IMNatural.com and the people there were really encouraging. I could hardly believe that ANYTHING could actually reduce my hunger. But it really worked. And I actually cried. I couldn’t believe that this nightmare of my body being out of control was really over. The only side-effect I noticed was that my mouth became dry. I simply started carrying a bottle of water around with me and … no problem! I’ve lost over 20 pounds and I plan to lose 15 more and I am smiling constantly! Thank you Phentramin-d and thank you, IMNatural.com.” _ Michelle P.
“Phentramin-d is my helper. I knew that a pill would not really do the work for me. But Phentramin-d really blew me away with the level of fat burning it delivered. I could tell at my workouts. I just felt different. And the way it turned up my energy was truly a blessing. Without that energy zing that Phentramin-d delivers I could not have stuck with my exercise plan. The other great thing is that when I’m on Phentramin-d I can resist snacks and keep focused on both my work and on losing weight. Actually I’m losing fat! I am sooo grateful! _ Abby W.
Join the happy Phentramin-d re-ordering crowd at IMNatural.com and then brag about YOUR weight-loss! We’re a few months into the New Year, and by now we’re fully engaged in our weight-loss resolutions! Or … NOT!!! Pleasure strategy plus the right products spells success for your 2012 weight loss resolution! In America weight loss is the #1 resolution … but statistics tell us that 88% of us fail with our resolutions. And it just doesn’t seem fair … because our resolutions represent changes that we REALLY-REALLY want for ourselves! Not to worry, YOU will be part of the other 12% – those that experience stellar success with weight loss thanks to IMNatural’s strategies & products! In fact we plan to stick with you all year and give you the tips, support, new products and strategies that will truly help you reclaim the body you want. Our Weight Loss Product Chart will be a big help, and I’ll explain a new way to use it as you read on. Weight loss does not have to mean deprivation – only that some habits will change. The new habits should be PLEASURABLE. If you slipped off the weight loss wagon the best way to get back on your program is to set some realistic specific short term goals for lifestyle changes that are very positive. And be sure to only focus on weight loss activities that are pleasurable to you. So, instead of your resolution being a vague “in 2012 I will lose weight”… let’s reframe it into a “weight loss goal for the day” strategy. This is the weight loss version of the extremely successful One Day at a Time tactic. For example, a simple goal for a day would be to replace one undesirable high calorie food with a more desirable low-calorie healthy food in your meals. For instance, change your cooking oil from Canola to Coconut oil or Rice Bran oil. I’d call that a food upgrade. Take a pleasure walk that delivers weight loss. Another pleasurable goal might be: to walk a half-mile (6 blocks) to a location that you really enjoy, and then walk back again for a total 1 mile walk. You could plan to walk to a special coffee shop to grab a green tea, or walk through a fun shopping district, or a nature trail, or to a friend’s home. Each night decide what tomorrow’s fun destination will be and imagine that your walk will be really uplifting. Studies now show that an moderate walking speed helps you lose more weight than a speedy walk does. I personally love to listen to books on tape or my iPod while I walk or I may catch up on my cell phone conversations. Your target location is a reward and you will see a real difference in your weight in as little as 1 week from a 1 mile daily walk. Another type of weight loss goal would be to find some new recipes for the low calorie foods you already enjoy so you can be excited about eating your favorite low calorie foods more often. Or try some totally new low calorie foods with a friend. These activities all involve you spending more time and focus ON YOURSELF. And it’s a good and healthy kind of selfishness that protects and nourishes your own body … so go for it. Take permission to over-indulge in building enjoyable practices to lose weight on a daily basis. One genius customer told me about a pleasure-based diet she invented and I’ll tell you more about that shortly. You can click on this image to view the IMNatural Natural Weightloss Chart. Don’t let your weight loss resolution have a negative deprivation focus! Just click through to our weight loss products chart and pick a product that delivers a full feeling (we have 5 listed). Using more than one weight loss product is becoming common as people come to understand that there are multiple aspects of our physiology that can cause our weight to fluctuate. Picking a detox product to start with always lays down a firm foundation and your will probably see immediate weight loss after a week of up to 10 pounds as toxins flow out of the body. Our weight loss chart shows 4 separate products that deliver the benefit of detoxification. Another strategy is appetite suppression and we handle 11 products that contain appetite suppressing ingredients!!! Look at the other categories on the weight loss products chart and let your intuition guide you to the categories your body wants you to try. Dark moods and stress increases weight gain. 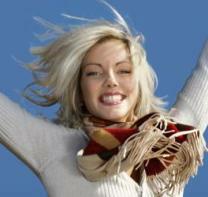 Brighter moods can deliver actual weight loss. And what could be more pleasurable than a better mood?! IMNatural carries 10 products designed for weight loss through improved mood and lowered stress. Deep sleep is a foundation of weight loss and anti-aging practice. Last week a network TV show featured a spot on weight loss and sleep deprivation. Evidently we need from 7 – 9 hours of quality sleep per night. Being even slightly sleep deprived causes you to crave more food, especially carbohydrates, and if you’re sleep deprived and ON A DIET you may lose more muscle than fat! So go over to the weight loss product chart and pick out a natural sleep aid for weight loss! We have 3 that are specifically geared to weight loss and the SLEEP section of our website offers even more. Good sleep is a sweet pleasure that pays off with numerous health benefits! Pick foods that you consider luscious to replace “nutrient poor” breads. Keeping with our theme of pleasure in weight loss, I recently heard of the all time BEST EVER DIET! A brilliant woman created what she called the LUSCIOUS DIET. The way it works is that she would only eat foods that she truly found to be “luscious”. She favored perfectly ripened Manilla mangoes with mint, delicious fish grilled with herbs, ginger and garlic, roasted rosemary lamb skewers, Waldorf salads with really crisp Fuji apples … you get the drift. So if she didn’t have time to cook those dishes for herself or couldn’t find them at a nearby restaurant she simply did not eat – but had tea instead! 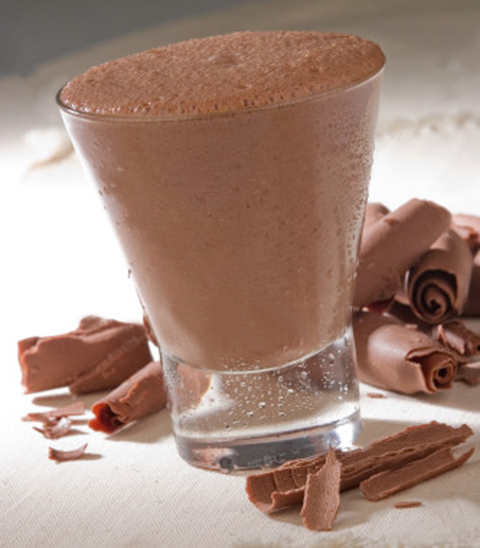 I introduced her to 24/7 Meal Replacement to fill in her gaps and she thought the chocolate shake was truly luscious. And speaking of pleasure, I also think that Patty McPeak’s 24/7 Chocolate Meal Replacement is the most delicious 120 calorie breakfast I’ve ever had. It supplies all you need for high energy and all you need for pleasurable weight loss! More tips coming soon. If you’d like to share yours, send them in! STOP PAIN … with SUGAR ??? Well … there exist ESSENTIAL sugars that are just as important for you as having calcium or Vitamin C. And one of these sugars stops joint pain! In a nutritional sense, “essential sugars” means that you must get them in your diet or your body won’t work right. On the other hand, sugars like sucrose and high fructose corn syrup cause havoc in the human body. So … what is this sugar that I need, and what is a natural source for my diet? It’s NAG and it’s not in fruit! Instead look to shark cartilage, shrimp shells, grasshopper bodies, and shitake mushrooms as good sources. Or you can take it as supplement, as I do. The sugar in question, n-acetylglucosamine (NAG), is one of the 8 essential sugars! 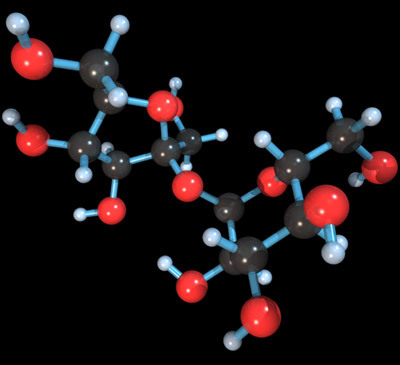 The n-acetylglucosamine molecule (NAG) is one of the 8 essential sugars. Yes, N-A-G is the easy way to remember it. And scientists are studying NAG even as we speak! Just one month ago on Sept. 29, 2011, the Journal of Biological Chemistry published an article from researchers at UC Irvine in California. According to a review of this journal article by Science Daily, NAG stopped inflammatory damage that caused autoimmune inflammatory response in MS and damage caused by type 1 diabetes mellitus. NAG was also recently shown to significantly improve autoimmune inflammatory bowel disease such as Crohn’s, interstitial cystitis and ulcerative colitis. How does that relate to my joint pain? 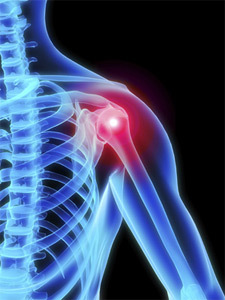 Our customers seek relief from arthritis and joint pain every day! NanaFlex is the product I use and the one I always recommend. And I choose NanaFlex because it’s built around a core of NAG! Unlike glucosamine, NAG reliably regenerates cartilage! Along with the NAG you’ll find other herbal ingredients that work to eliminate joint pain and actually give your joints a greater range of motion. And … these other herbs deliver some amazing benefits. Customers have reported libido increase, mental sharpening and accelerated wound healing when they use NanaFlex. Quick – Get me some NanaFlex right away! There’s LOTS more! NanaFlex contains an optimal serving of NAG and because of this NanaFlex actually repairs certain cell damage in the gut or the joint. In the above research NAG stopped autoimmune response and damage. Plain glucosamine may or may not heal your joint. But NAG is easy for everyone’s body to metabolize and then it becomes instantly available to repair autoimmune damage to nerve problems, normalize thyroid function, stops joint pain due to joint degeneration & eliminates many bowel problems. If you have vertebra, knees, shoulders, finger joints or joints in your feet that feel hot, uncomfortable or achy, try NanaFlex. It’s guaranteed by the manufacturer to work as described. What about those herbs you mentioned? 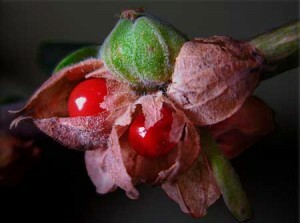 Ashwagandha has long been used in the traditional herbology of India. 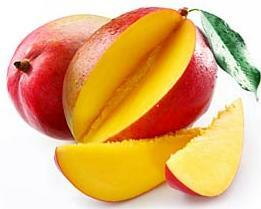 Ashwaganda – inhibits the 5-Lox enzyme to reduce inflammation and pain. Curcumin – acts as a Cox 2 enzyme inhibitors to reduce inflammation and pain. MSM (methylsulphonylmethane) – Supplies the building blocks for cartilage and reduces inflammation. Annatto bean powder – Contains some powerful isomers of Vitamin E and addresses inflammation as well. Ginger Powder – Helps relieve inflammation and pain, and is a good antioxidant. Eucommia Ulmoides – Reduces the sensation of muscle and joint pain. Boswellia and Yucca – assist with pain reduction and inflammation. What can I say when I want to tell my friend what NanaFlex with NAG does for me? Just say that NAG is the true building block for regenerating cartilage that other products DON’T HAVE. Glucosamine Sulfate or Glucosamine HCL cannot be used until converted to NAG by an enzyme in the GI tract. This enzyme may or may not be in your GI tract. Many of us don’t have the enzyme and that is why glucosamine does not help our joints. But NanaFlex does help and most everyone who starts to use NanaFlex continues to re-order. 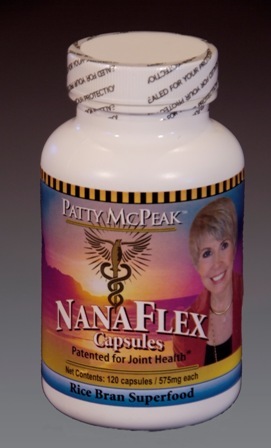 GET your NanaFlex now and start living pain-free this winter! Step 1 – Summer provides lots of sunshine and our skin makes much more vitamin D3. Since you can’t get that much sun in winter, add vitamin D3 to your supplement list. It’s essential. Safe tanning beds are a more expensive solution. 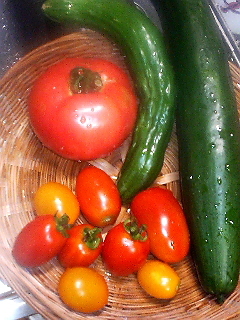 Step 2 – The summer foods include vitamin C rich fruits and vegetables. 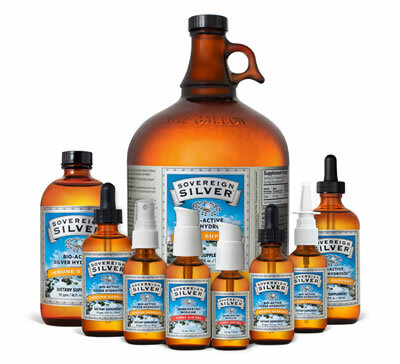 Since they are scarce* in winter, take extra natural vitamin C.
IMNatural.com now carries the TOP brand of colloidal silver hydrosol and gel. This is a big deal! Step 3 – Don’t stop exercising because it’s not delightful outside. Develop an indoor routine equal to your summer workout level. Step 4 – Add Sovereign Silver products to enhance your immune system’s performance since you WILL be exposed to lots of people who are NOT following step 1, 2 and 3. These people will become victims for virus and bacteria that look for weakened hosts all year long. When the winter stressors of reduced sun, less fresh food and less exercise depletes their bodies these people will become mini-resorts for viruses and will be forced to host the “flu season”. WHAT DOES SOVEREIGN SILVER DO? Sovereign Silver performs two simple tasks. Sovereign Silver ups your immunity and also outright kills bacteria in proven scientific studies, thereby supporting healing. Before I decided to carry Sovereign Silver I looked at two things … its safety issues and its benefits. (4) Accumulation rather than excretion of used silver in the body. SOVEREIGN SILVER passes all these tests with flying colors! 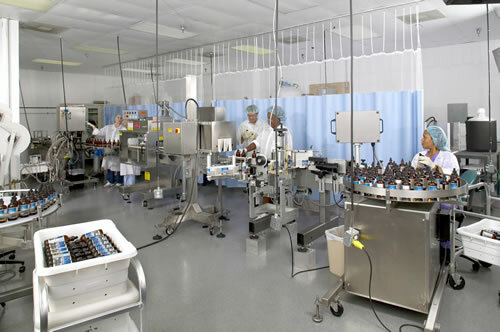 (1) Sovereign Silver is a solution of 10 parts per million of pure silver in pharmaceutical grade water. This extremely low amount of silver is SAFE for humans to ingest on a daily basis according to the EPA standard of 350 micrograms (the EPA Daily Reference dose). One teaspoon of Sovereign Silver at 10 ppm concentration amounts to a 50 microgram dose. At that rate it is safe to take up to 7 teaspoons daily! Tra-la. (2) Sovereign Silver contains no silver compounds, only 99.99 pure silver. (3) Sovereign Silver is predominantly oligodynamic silver. Oligodynamic silver has a STRONG positive charge which suspends the silver in water, and keeps it suspended. Sovereign Silver is an oligodynamic colloidal suspension of actively charged [Ag+] silver ions. 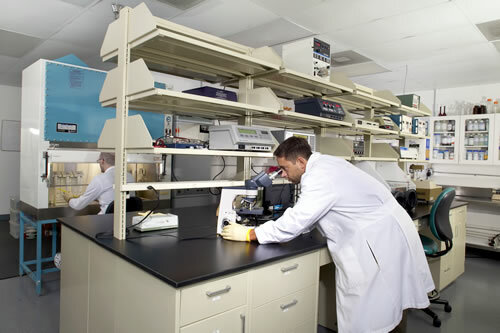 (4) Particle size is the smallest – Sovereign Silver particles measure in the low nanometer or even sub-nanometer range! This small size allows for both maximum use by your cells and maximum elimination from your body once the silver has achieved its biological purpose. Average particle size is 0.0008 microns or 0.8 nm. I can’t resist passing this part along to you. You’ll want to post this on facebook or tweet it for sure! Remember … we’re talking 10 parts per million (ppm) of silver in Sovereign Silver. So … in one cubic centimeter of Sovereign Silver there are over 150,000,000 particles of active silver. “So what!? !” … you say. So, if you spread that out (surface area) you would have 6 square kilometers of silver particle surface area. Sovereign Silver will not kill the good probiotic bacteria that live in your intestine. Because our silver particles are so small and absorbable it is absorbed into the blood stream BEFORE it even reaches the intestine. Supports immune function – kills bacteria and strengthens the immune system. MANY doctors choose Sovereign Silver as their recommended immune support. Promotes healing by reducing topical pain, calming skin inflammation, and fighting minor skin infection, Sovereign Silver Gel helps skin recover from all types of minor wounds. Rub on cold sores, insect bites, abrasions, incisions and rashes. HOW DOES SOVEREIGN SILVER WORK? Silver works by turning off the oxygen metabolism enzyme in bacteria and fungi, as well as in most viruses. The offending organism (bacteria) then either dies or stops replicating. This action of silver does not work on larger animals, only on single cell infections, so there is absolutely no threat to you or your pets. Increases production of white and red blood cells in your blood. Increases sensing ability of white cells to find invaders. You’ll want to order NOW to avert a 2011 FLU SEASON at your house. Remember to “live like it’s still summer”, and add Sovereign Silver to your treasure trove. For our blog-reader’s SPECIAL just enter the code “Silver10” at checkout, for 10% off on the entire Sovereign Silver line!!! Homeopathic hCG drops are the next generation of Dr. Simeons’ hCG discovery for weight loss and fat loss. In the 1950s, Dr. A. T. W. Simeons started a super successful fat loss program in which he administered the safe and natural hormone, human Chorionic Gonadotropin (hCG), to both male and female patients by injection. The patients used a special diet and they showed dramatic fat loss around the waist, buttocks and hips. How do Homeopathic hCG drops work? The hCG reduces appetite, burns fat, and made it possible for dieters to do well on a very low-calorie diet and lose about 1-2 pounds per day. hCG puts your body into the mode of converting your excess stored fat back into food for your body. hCG does this by triggering your hypothalamus to mobilize the fat stored around your waist and hips into your bloodstream. It’s important to note where the fat comes from. hCG protects your “good fat” and also protects your muscle tissue from being converted to food and targets just the fat YOU want to lose! Homeopathic hCG Drops resets your hypothalamus so that your weight reduction is permanent. After you follow the simple 23 day or 40 day diet plan, depending on how much you wish to lose. You can expect up to a 20 pound weight loss on the 23 day plan and more than 20 pounds on the 40 day plan. You can then perform a short respite that is clearly explained in the Homeopathic hCG Drops diet plan, and then do another round to lose another 20 pounds. If you are satisfied with the weight loss you have already attained, you can then easily keep your 20 pound loss. Your brain is reset and your fat burning capacity is now turned on approximately 30% higher than when you started. IMNatural has secured a selection of Homeopathic hCG Drops that offer a variety of additional hCG diet supports. You can have Homeopathic hCG Drops that include support for the female system, or you can have a special Homeopathic hCG that contains additional slimming herbs or amino acids. You’ll find e-books and other support materials there, as well. “My lifestyle limited my ability to diet. Working full time made it impossible for me to exercise. I took a chance and tried the Homeopathic hCG Drops diet plan and was amazed how much sense it made. I followed the steps and lowered my intake of calories to the super low level. I was worried that I would not be able to do it but taking the Homeopathic hCG Drops made it painless. The foods on the diet plan also made it easy for me. I think I will REALY be able to lose ALL the weight and fat that I want to with this genius hCG diet and Homeopathic drops. Thank you for helping me get my body back into a shape that I am proud of. I’m so glad I visited your website and weight loss blog. _ Mary V.
Visit our main Homeopathic hCG Drops weight loss page. Look at the many offerings and pick the one that suits your needs and your lifestyle. This is a step that can change your life in a way that is safe and healthy and beautiful. ORDER NOW & don’t forget to cash in on our FREE SHIPPING! Desperately needing ALL or NONE ??? Is there a supplement that will really make a HUGE DIFFERENCE in the amount of energy I have? Yes, there is one outstanding ENERGY nutrient that we all need. It is Coenzyme Q-10, and it is present in certain foods and also in several different forms, for supplementation. Other names for this nutrient are CoQ-10, Ubiquinone or Ubiquinol. Which foods are rich in Co Q-10? Well … the foods that have the most CoQ10 are organ meats. 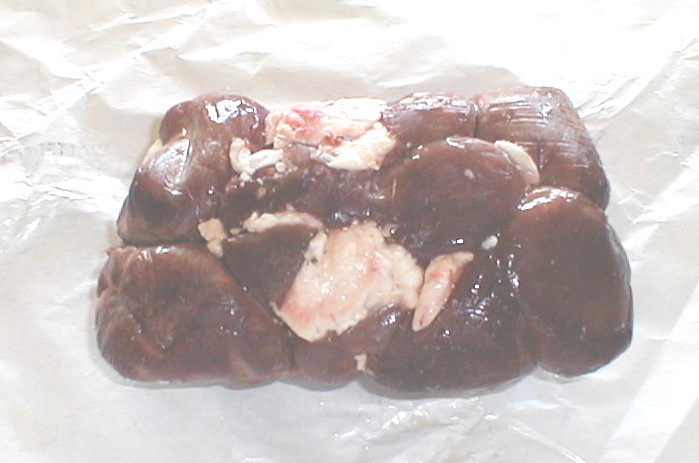 Top food source for CoQ10 is beef heart, next is liver, then kidney, and sardines also do the job. Unfortunately most of us don’t prefer to eat heart, liver or kidney (unless you are British). As a reference, it takes eating about 3 pounds of sardines to get enough CoQ10 for your daily needs. HOW IMPORTANT is CoQ-10…and WHAT is it? The Understanding of energy movement in our bodies by CoQ10 won the Nobel prize for chemistry in 1978! CoQ10 is that important and helpful! 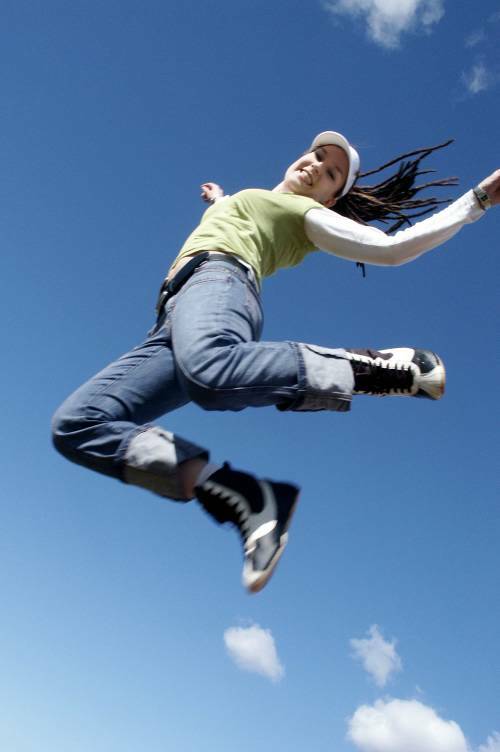 Coenzyme Q-10 moves all our energy! It is a fat soluble substance that plays a vital role in the “electron transport chain” (our body’s energy production) that was first described by Dr. Peter Mitchell of England. He got that Nobel prize, and his work was the foundation that then exploded into our present understanding of the role of CoQ10 in almost every aspect of our body’s functioning. On the every day level, CoQ10 is found in every cell in our body, and NECESSARY! WHY do we desperately need Co Q-10? It’s really a no brainer that every function of our body requires energy and that energy is only obtained with the aid of CoQ10! QUICK! I’d better get some CoQ-10 right now! HOW do the symptoms of CoQ10 deficiency look ? 75% of patients with heart concerns have severe deficiencies of CoQ10 and weak heart muscle improved in 85% of the patients who took CoQ10. Blood flow through the heart improved 76.2%. How is CO Q-10 absorbed? CoQ10 is a fat soluble substance and is best absorbed with foods that contain some fat or oil. Fat digestion and fat metabolism must be working for a body to be able to get the benefit of CoQ10 from foods or from a supplement. As we get past 30, our ability to get CoQ10 from our foods diminishes and the signs of deficiency appear … like clockwork. HOW does Co Q-10 work? The cell makes food into ATP (energy molecule), and ATP must be moved by CoQ-10. CoQ10 makes our energy flow! Just like our cars and planes, our body runs on fuel. Our main source is our food, namely fats, proteins and carbohydrates. The blood takes the nutrients we have digested and carries them to all our cells. Then the cells must break down those food nutrients into fuel to run on. In the cell, our energy production occurs in our mitochondria, the cells’ energy factories. Our mitochondria turn our food into ATP, the energy molecule. The MOST IMPORTANT CARRIER that moves ATP to the locations where it is needed is our indispensable CoQ10. Without CoQ10, our energy will not flow. With deficient CoQ10 our energy flow is limited and slow … and so are we. Do I REALLY NEED to take Co Q-10 for my heart? Yes, you do. In multiple clinical trials, CoQ10 showed the following significant improvement for ALL the heart factors! The heart needs more CoQ-10 than any other tissue in the body. Ejection fraction increased (amount of blood pumped out of a heart ventricle with each heartbeat). Stroke volume improved (amount of blood pumped in one heartbeat). End diastolic volume index also improved (the volume of blood in each ventricle at the end of a diastole). 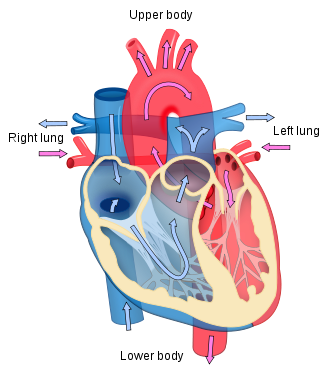 The heart requires and contains 1000 mg of CoQ10 (the blood requires only 4 mg of CoQ10). There are two forms of supplemental CoQ10 that you can take. One is Ubiquinone and the other is Ubiquinol. 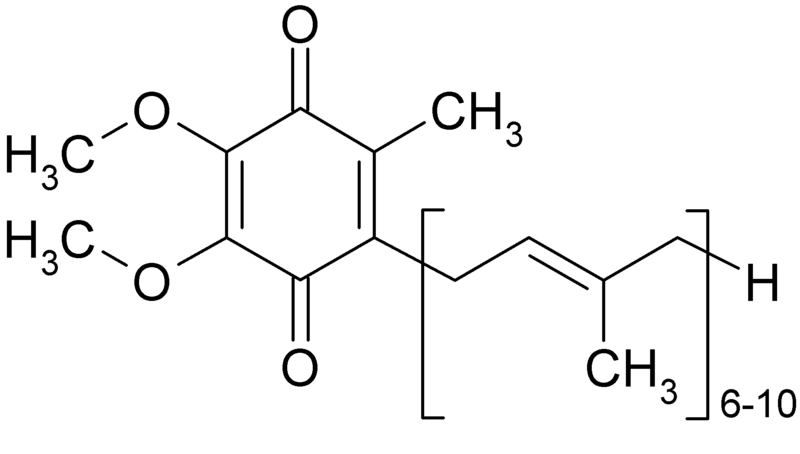 Humans can’t use Ubiquinone until our body converts it into Ubiquinol. As we age we begin to lose our ability to convert Ubiquinone into Ubiquinol … so it only makes sense to only use Ubiquinol as your supplement! “None or Ol (ALL)” … This is my little memory device that helps me remember which one I want. And my body(over 30) wants “ALL”(ol) ! Studies have shown that in humans, Ubiquinol raises levels of CoQ10 in your blood eight times more efficiently than Ubiquinone. In other words it takes 2400 mg of ubiquinone to do the same job as 300 mg of ubiquinol. Therefore ALL (ol) is the one your want … and if you’re over 30, you don’t want “NONE”! Is there any GOVERNMENT REGULATION of Co Q-10? CoQ10 is totally accepted and very available as a dietary supplement in the U.S. It was grandfathered under the Dietary Supplement Health and Education Act (DSHEA) passed by the US Congress in 1994. 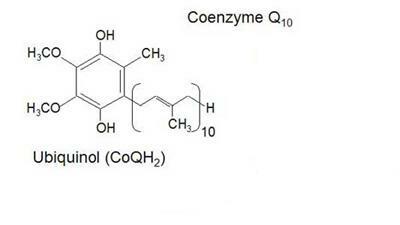 Coenzyme Q-10 is included in the United States Pharmacopeia, European Pharmacopeia and the Japanese Pharmacopeia. CoQ10 has also been designated GRAS which means you will see it as an ingredient in foods. It is super safe to use. GET some Co Q-10 NOW… You know you want some! IMNatural.com has an assortment of CoQ10 for your choosing. We have the type that a young person can use and save money on (Ubiquinone). We also have the type that a middle-aged person needs to have access to all their energy and to protect their heart function, their brain, teeth and gums (Ubiquinol). I’ll pass on the organic lamb kidneys … Pleeeeze, Take me to the IMNatural cart to buy my CoQ10! Some health care practitioners recommend starting with a low dosage and working up to the amount that gives you the level of energy you are comfortable at. You can follow the recommended serving directions on the bottle but split the servings, to start. CoQ10 makes a dramatic difference. Try Co Q-10 and let me know how it works for you. We’d love to put your comments on our blog!